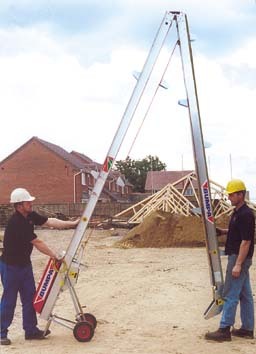 The time consuming, back breaking chore of loading repetitive heavy loads roof high becomes quick and easy with a BUMPA loading machine, carried on the roof of any small van/or pickup, erected up and running in under 10 minutes. 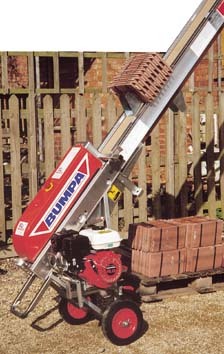 BUMPA's capacity to clear a pallet of concrete blocks in under 1 minute or 1000 tiles in 25 minutes - from single to 3 storey lift - makes it a must for every roofer and builder. Today's regulations state you must provide a mechanical means for handling repetitive heavy loads, rather than relying on manual labour. BUMPA is proven to double your performance for half the effort, helping you to compete and comply! This machine is easy to errect - up and running in under 10 minutes. 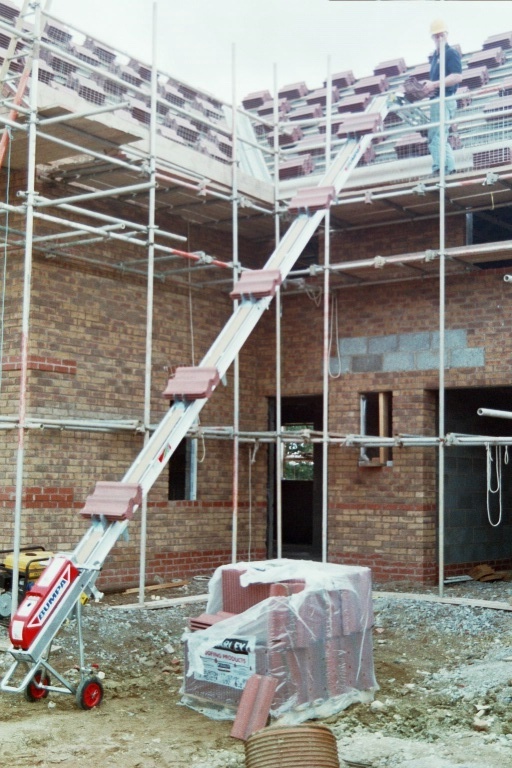 80 kg Payload - loads tiles, fittings, felt bricks, blocks, mortar, etc - faster than any other competitor. Continuous action - no waiting for platforms to be loaded/unloaded. 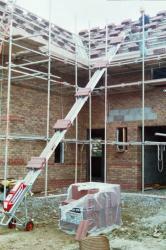 Lightweight - (76 kgs) easily manoeuvred by 2 men even on difficult sites. Powered reverse for stripping salvage.